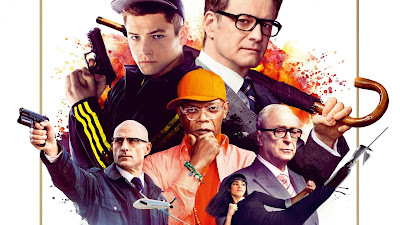 One of my favorite films of 2015 was Kingsman: The Secret Service. It was fun, innovative, and it put an original spin on classic spy films. It was a very enjoyable movie to watch, and, of course, it had the now famous church scene. Ever since its release, fans have been clamoring for a sequel. For a while, a sequel was confirmed and we even had a summer of 2017 release date. It was still unknown whether (spoiler) would return for the second, since he died in the first film. But the real question was Matthew Vaughn. That was the make or break it for this film, whether he would return to direct or not. Even though it is still not confirmed whether he will return (still hoping! ), we do have more movement on the project, in the form of a title. 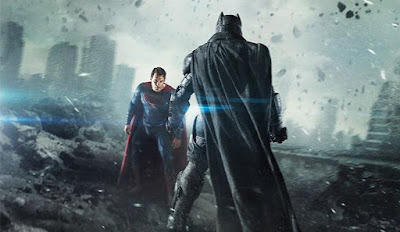 How could you not be excited for Batman v. Superman: Dawn of Justice? The trailers we've been watching for the past year have hyped this movie up to be the film of the century! For the first time ever, DC's most iconic superheroes Batman and Superman would be on screen together, and duke it out. How could Batman take on Superman? Why are they fighting? How does Wonder Woman and Doomsday fit into this? How will they set up the Justice League? These are all questions people had going into the movie. I was actually lucky to see the movie a couple days late, because the overtly negative critical ratings allowed me to check my expectations. They went from through-the-roof to normal excitement, which was the best thing I could have done in preparation for this film. Going in with my lowered expectations, I was interested to see what the movie brought to the table. Batman v. Superman has a lot of cool ideas and moments, but suffers from a lacking script and disjointed editing. Despite the negative reviews coming out of Batman v. Superman: Dawn of Justice, one resounding positive is Gal Gadot's performance as Wonder Woman. Many are now drawing their interest to her stand-alone film, which is due out next year. And we know very little about it. It does take place during World War I, and we will be learning a lot about the Amazons, and their homeland of Themyscira. This will also be the start of several stand-alone superhero epics, which will come before and after next year's Justice League film, which will unite all of DC's heroes. 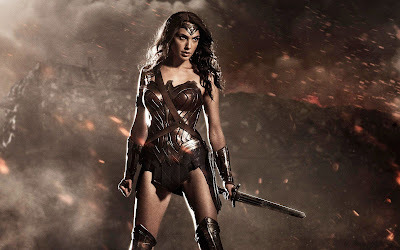 After Suicide Squad in August, Wonder Woman is the next movie in line. With all the focus on DC for Batman v. Superman, Entertainment Weekly has released a new image from Wonder Woman, revealing the landscape of Themyscira, the Amazonian armor as well as Gal Gadot, Connie Neilsen, Robin Wright and Lisa Loven Kongsli all in costume. X-Men: Apocalypse seems to be one of the comic book movies that is slipping through the cracks. With so many coming out this year, it's easy to forget about a few of them. But there is a lot to be looking forward to with Apocalypse. It's the culmination of the entire X-Men franchise, as well as it introduces one of the most popular and powerful X-Men antagonists with the titular Apocalypse, played by Oscar Isaac. The first teaser trailer was really good! It gave us a taste of what to expect from this film, without spoiling too much. We got to see our villain, as well as James McAvoy's Professor X (finally) with a bald head. I really liked the teaser trailer, but with the film coming out in just a couple months, it was time for another one. And now we have it. I have to admit it: I have never seen the original Ben-Hur. I know! Blasphemy for a film fan, right? Well, I'll get around to it someday. So I didn't necessarily share the outrage that many fans of classic cinema had when a remake was announced. I was indifferent to it. The original was made in 1959. I don't think it's "too soon". But like I said, I was indifferent. The casting of Tobey Kebbell and Morgan Freeman interested me but I had honestly forgotten that the film was coming out this year until the trailer dropped online. I played it not really having many expectations, but I did have an open mind to the film. Cursing hot dogs isn't the first thing that comes to mind when you think of the words "sausage party". But that's exactly what we're getting from Seth Rogen and his gang, in their R-rated animated feature due this summer. I was very much looking forward to seeing this trailer. Rogen works best when he's with his whole team, and that's what he has for this film. Plus, the animation factor made this project especially interesting. It's great that they're now trying to branch out from their usual type of film. What are they going to do next? A superhero movie? (Oops, sorry Seth. I forgot about The Green Hornet) Regardless, I was excited to see a trailer for Sausage Party, and now we have one. 10 Cloverfield Lane popped out of nowhere a couple months ago, dropping a trailer for this mysterious Cloverfield quasi-sequel. There was no word that a sequel was even in development, and then bam! A trailer drops and the movie is suddenly coming out in two months. Since then, fans have done nothing but speculate. How does this film tie in to Cloverfield? Was it really filmed as a sequel, or are they just playing it up with the marketing? What the hell is this movie? These were all questions I had going into the film. I also had a genuine interest in the movie itself. John Goodman looked fantastic, and it seemed like a really interesting premise. So I didn't walk into the film entirely because it was related to Cloverfield. And that will the movie's downfall for some fans, as it has virtually no ties to Cloverfield. But it works out for the best, as 10 Cloverfield Lane is a far better film than its supposed original. It's here! The second trailer for Captain America: Civil War is here! I really liked the first trailer, but it was a teaser. We didn't get much more than just a brief glance at the film. But now we have a full length trailer, and it is awesome. The best parts of the previous trailer are more fleshed out and even better in this one. We get a much better sense of what these heroes are fighting for. We didn't get that really with the last trailer, and this one made it more clear. We got a more extended look at Chadwick Boseman as Black Panther, and exactly how he and the Winter Soldier (Sebastian Stan) fit into the film. The action is highlighted, and this looks to be some of the best fight choreography of a Marvel film to date, perhaps rivaling Captain America: The Winter Soldier. I went into Zootopia with modest expectations. I had heard fantastic things about the film (it currently sits at a 99% on Rotten Tomatoes), but I don't like a lot of kids films. Pixar, however, has cracked the code to making films that are very adult in story and themes, but are still accessible to children. I absolutely loved last year's Inside Out. But the other animation studios haven't had quite the same track record. But knowing people were loving this film, made by Disney animation, I went in with an open mind. And I do have to say, I was surprised with how much I liked this film. 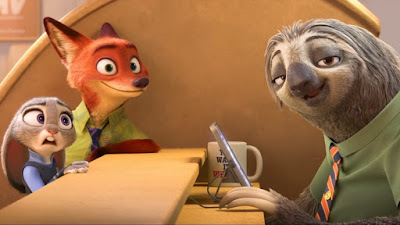 Zootopia isn't a perfect movie, but it is funny and exhilarating, and has a very relevant and important social message. I have been very interested in this Ghostbusters reboot for some time. I am not a Ghostbusters fanatic, but I enjoy the original film. It's very good. But the idea of an all-female reboot intrigued me, especially with the team behind it. Kristen Wiig, Melissa McCarthy, Leslie Jones and Kate McKinnon play the central team, with Chris Hemsworth as their secretary. The movie is directed by Paul Feig who has had tremendous success with some of these teammates in films like Bridesmaids and The Heat. I have been anxiously awaiting a trailer, because I have high hopes for this film. I think it has the possibility to be very successful, so I have been excited to watch a trailer. And now we have one. Over the years, Pixar has had so many great hits. From Toy Story to Monsters, Inc., it seems like almost every single on of their films has been regarded as one of the best animated films of all time. And Finding Nemo is no exception. It is a beautiful film about love, family and determination. It is filled with great humor which is delivered by a great voice cast. It's a heartwarming film that does touch on some dark and heavy subjects in such a great way. So when I heard that a sequel, to be called Finding Dory, was in the works, I was mixed. On one hand, it's a story that could definitely be continued while it simultaneously seemed like a cash-grab. I've been reserving judgment for a trailer, which we now have. 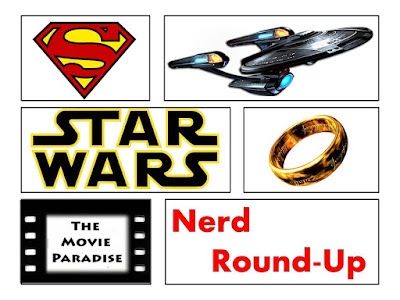 This is the eighth installment of this editorial series where I basically take a movie and pick my personal five favorite scenes from that movie. Then, you can go into the comments and say why you either agree or disagree with me. For this article, I will be doing One Flew Over the Cuckoo's Nest. Warning- there are spoilers!